Kim Kardashian Shares Adorable Picture Of North; Fans Freak Over Brow Waxing? 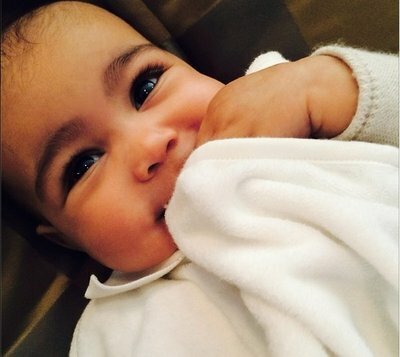 Kim Kardashian took to Instagram again to show off her sweet little girl, North West. Kim and Kanye West vowed to keep things about their daughter private for the most part, but here and there the celeb mom has been showing off this gorgeous girl via Instagram. So, while we were all oohing and aahing over this adorable new snap of baby Nori, a few fans were focused in on something other than her happy face. Followers started Tweeting, wondering if Kim had actually waxed her daughter's eyebrows! Fans wrote things like, "Kim K definitely waxed her baby's uni-brow" and "Is it me or do North West's eyebrows look plucked and shaped". Kim responded to them this afternoon, trying to make light of the situation, but defending herself nonetheless. The new mom joked, "Do people really think I would wax my daughters eyebrows so young? Come on, I'd wait until she's at least 2 1/2!". Kim followed up, "I'm kidding!!! Its pretty sick for people to insinuate that I would wax my daughters eyebrows. They are thick, natural and amazing!" 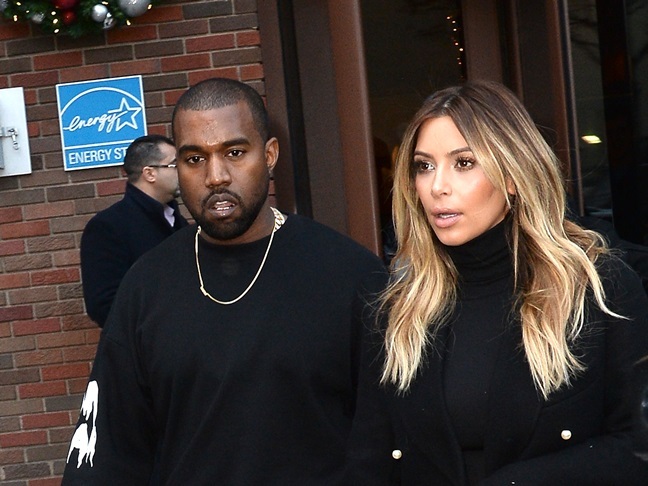 Do you think people are being too hard on Kim? Or is it not too far fetched to believe that some celebrities just might go this far for vanity's sake? For example, Teen Mom star Farrah Abraham fully admitted to waxing her daughter's uni-brow when she was just three years old. David Beckham Doesn’t Play Favorites With His Sons On The Soccer FieldBruce Willis And His Wife Expecting Another Baby!